Things couldn't have looked much bleaker for this very wayward deer - but fortunately he found some nice dudes to get him back on course. 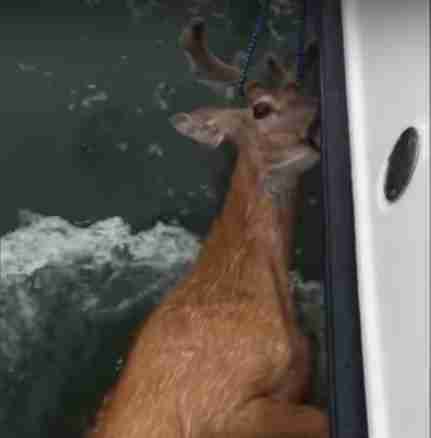 Last weekend, Rob Kurdy and his friends were fishing six miles out on Rhode Island Sound when, much to their surprise, they spotted the out-of-place buck clinging to life among the waves. It's unclear how long the exhausted animal had been out to sea, but judging from his aimless paddling, he probably wouldn't have lasted much longer. "You could see it shivering," Kurdy told WTNH News 8. "It was barely staying afloat, kind of just going in circles." Realizing that the buck would drown if they did nothing, Kurdy and crew came to his aid. Unable to lift him into their vessel, or perhaps fearing that the buck would hurt himself if they tried, they instead wrapped some rope around his horns to drag him on the long journey back to dry land. It probably wasn't the most comfortable ride, but we suspect the castaway was left with few complaints considering how it all turned out. 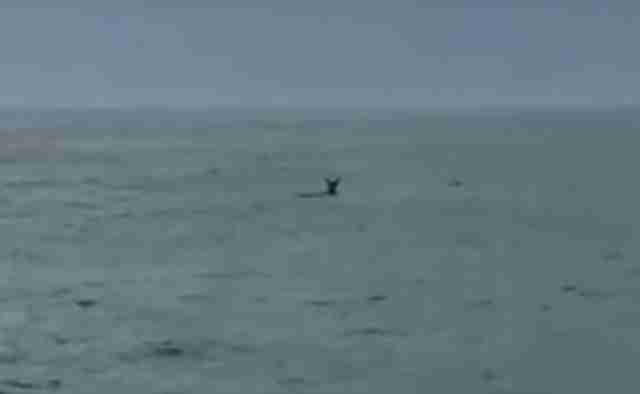 Once back on shore, the rescued buck still wasn't in the clear. Hypothermia had set in from all that time spent in the frigid water, so Kurdy and the others toweled him off and kept close by as he warmed up in the sand. Sure enough, two hours later, the very, very lucky deer was back on his feet and wandering, this time choosing a less ocean-bound course. These kind rescuers could have looked the other way and let the buck try to sort out his predicament on his own, but they chose to help - and the decision was unanimous. "It's a life," Kurdy told News 8. "I'm not going to let him drown. He was out in the middle of nowhere, shivering and freezing, so we all said, 'We just can't let it drown.' It was the right thing to do."